Today's lesson Gift Giving and Light Up Cards, was fabulous. Kristina Werner demonstrated how to put a card together using Chibi lights and it was the best turtorial on this process that I have seen and I think I will give it a try. I never bought any of the components because it looked so complicated. 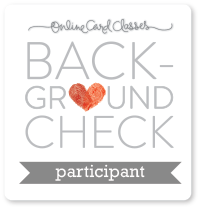 I chose to do a card demonstrated by Yana S., which was displaying a gift card on the front of the card in a pocket designed to hold it. 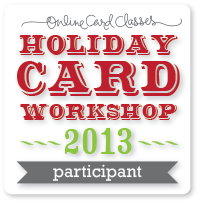 I began by using a background stamp and clear embossing the front of the card panel. I die cut the balloons from an Simon Says Stamp die, copic colored them and added Spectrum Noir Shimmer pen on top, but it is very hard to see here. 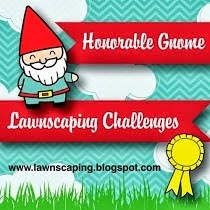 I liked this idea and will use it in the future. 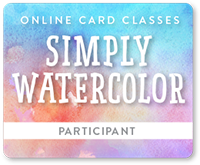 I think having the gift card on the front of the card and incorporating it into the card design works well. A lot of steps but worth it if you really want to give it to someone special. Very busy yesterday, this is the first time I have had a chance to post what I created for the class. The emphasis was on shaker cards. New techniques were posted, which were fantastic, but I didn't have most of the supplies needed. I did make a shaker card, though. 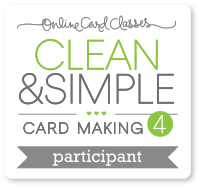 I kind of followed Kathy R.'s card, using fun foam. I have made shaker cards with fun foam before and it is easier, to me, then adhesive foam tape. The little snowflakes are iridescent and they appear pink in this picture, IRL they look the same color as the card. :) This is a die from Simon Says Stamp. The sequins are from Lucy's Little Things, the mix is called Apple Ice, her sequin combinations are so pretty. 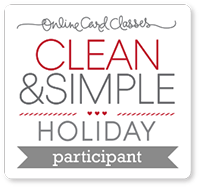 Thanks for coming by, and I will probably have another post up today which will feature a card from Day 5 of this class. I used Lawn Fawn Pop-Up dies, and they are really easy to use, didn't have any problems. The images are from MFT Jingle All the Way and colored with copics. I used patterned paper for the floor and wallpaper and a Memory Box die for the window. The rug is from MFT Merry Christmoose. The card really needed something in that space and the rug worked perfectly. I did enjoy making this and really want to make more. Oh..here is the how I finished the outside of the card. The card was bulky so I did make a band to help keep it closed. I used snowflake vellum for the band and an image from the same stamp set. This is Art Impressions Howl-o-ween stamp set. 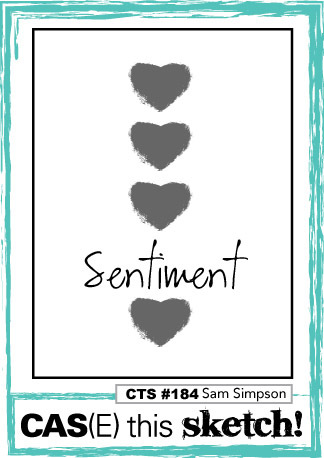 This stamp set is so stinking cute, I made several cards from this set. The images are all colored with copics. 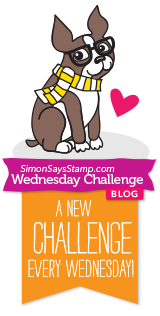 Simon Says Stamp Monday Challenge. Today's lesson demonstrated interactive cards-sliders, pull tab and spinners. There are a lot of steps but once you have made a card with movement it gets easier. Actually, the step that took the most time was trying to get the penny into the slider, not that it was hard, but that I kept losing the penny!! I would drop it and it would roll to parts unknown in my craft room, I would get another one and it would happen again, and I really spent too much time looking for it. :) Anyway the next time I just grabbed 3 or 4 pennies and figured if I lost it again, they would be right there. 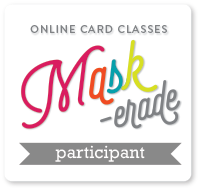 Back again with my second card from the new Online Card class, Wild Card. 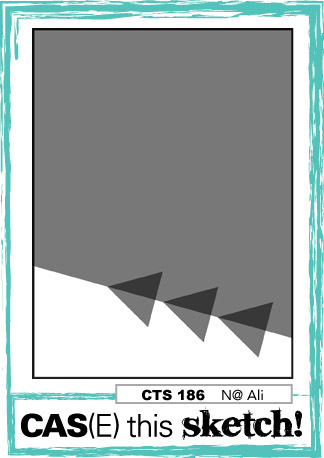 This is a shape card. Debby Hughes made this card for today's class and since I already had the die, I figured -why not? This a Wplus9 die, cut 2 times, the front is water colored and the second piece is used for the back. 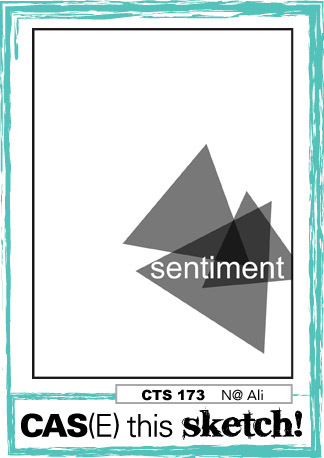 I love shape cards and really don't make them enough. I have had this die for awhile and this is the first time I have used it. It was cold in the house today, so this took awhile to dry :( , and the colors softened a great deal. I added some gold sequins and a banner embossed with gold. 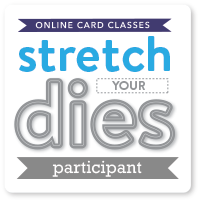 A new Online Card Class started today. Wild Card! After the first day, I love how the class is going. Wonderful creations by all the instructors today. The emphasis was on Shapes, Openings and 3D cards. I have two posts today, I am waiting for the watercolor to dry on my first card. So this is the second card I made today. This is a Gate Fold card, with the opening in the middle. I really liked the way it turned out and it really wasn't hard to do. I embossed the background in clear embossing powder. I Copic colored the tree then gold embossed the Christmas tree and sentiment. I made this card that has a couple of texture techniques. I used a Tim Holtz mini stencil to add leaves to the card front. 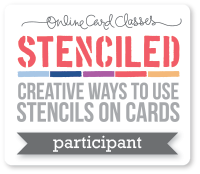 I tinted embossing paste with different colors of distress ink and then applied it to the stencil. 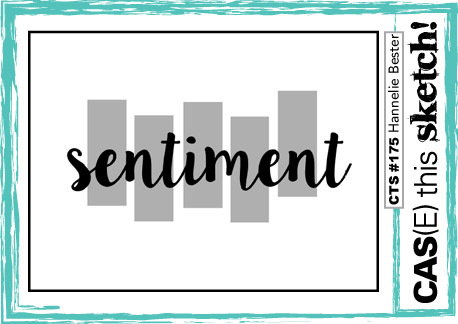 I used vellum that I cut with Lawn Fawn's Scalloped Borders on both sides to make a banner and then heat embossed the sentiment in white. The leaves were cut from Lawn Fawn's Stitched Leaves die set and then I colored them with Copics. I added them to the vellum banner in a bunch. I wasn't sure when I started what I was going to do but then I just kept at it till I got this result, I do like how it turned out. 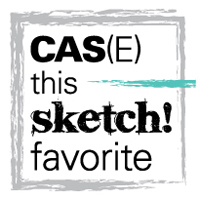 The CAS(E) this Sketch challenge this week features this sketch. 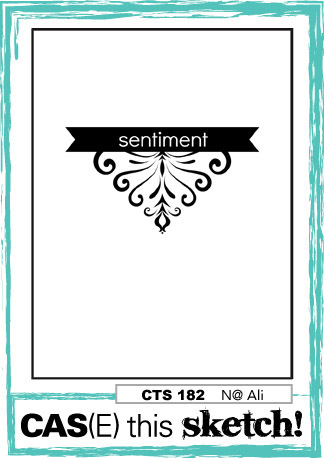 I just love these stamp sets by Essentials from Ellen. I used All Inside and the accessories for the bear, Bear Ware. :) So cute!! First I did the background by blending distress inks, and I die cut the card front. I copic colored all the images, die cut them(the die cuts the bears arms so he can hold his accessories) and then adhered them to the card front with foam squares. I also applied glossy accents to the hearts and the bears nose. 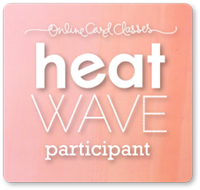 The greeting is heat embossed in white on black card stock. The bear and his buddy are just adorable! The Bear Ware set has tons of accessories for the bear to hold, I can't wait to try some of the others. 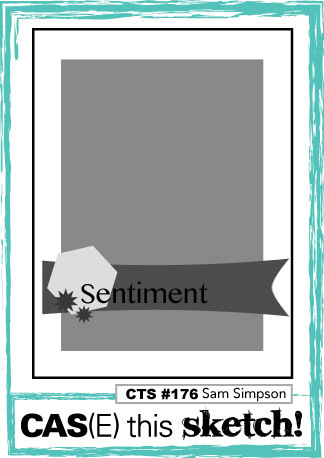 Supplies: Tim Holtz Distress Inks: Tumbled Glass, Broken China, Bundled Sage. 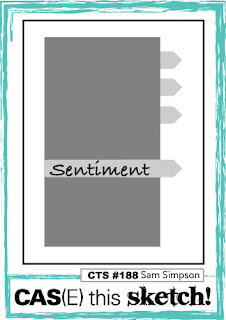 Dies: SSS Postage Stamp Edge,Essentials by Ellen All Inside. Ranger Fine White embossing powder. I had a lot of ideas for the CAS(E) this Sketch challenge this week. I finally settled on this design. Besides this reminds me of Fall and I really am ready for Fall. :) These summer temps have been rough. I stamped the image on patterned paper and die cut it. It is colored with Copics. Used another border die for the stitched lines on the card and then stamped the sentiment. I spent a lot of time looking for this stamp in my stash! This stamp has a story. Some years ago, I bought the die cut and decided I really wanted the matching stamp. Could not find it anywhere! Well as soon as I stopped looking for it, I found it! I was on vacation, and found it at a shop in Maine. So happy I went into that shop! Glad you came by, see you soon. Supplies: Memory Box Trendy Trees stamp and die, Paper Smooches Stitched die, Avery Elle O Happy Day stamp set. 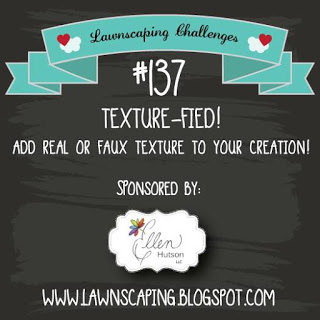 The theme for the Lawnscaping Challenge this week is Patterned Palooza! What a terrific name. I did the sunburst technique using Lawn Fawn papers. The image is colored with copics and die cut. I tried a lot of different colored card bases and I just had a heck of a time! I finally decided that the black look the best. :-). 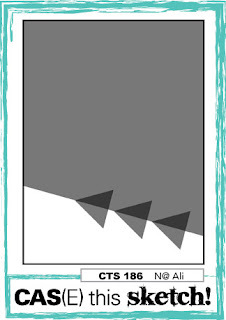 Great sketch for this weeks challenge at CAS(E) this Sketch it can be recreated in so many ways. 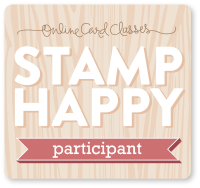 This stamp set from Simon Says Stamp, is one of my favorites. I stamped the image in Versamark and heat embossed in platinum on watercolor paper. Then I watercolored it with a LOT of bright colors. The sentiment banner is also stamped in Versamark and heat embossed in platinum and cut with flag ends. I used glue dots to adhere the banner for just a little dimension. Where I live we have many cardinals, it is the state bird after all :-) . I love looking in the backyard and seeing the flash of red as they fly by. A few years ago, sightings were not as frequent as they are now, and I missed that, so I am glad the cardinals are back in abundance. This is my version of a cardinal on a nest. I have never actually seen one on a nest but imagination is a great thing. :-) The 'nest' is twine that I glued together with Ranger Multi Matte Medium, I just laid it on top of itself over and over 'till I got the effect I wanted. The background is blended Ranger Distress inks (Fossilized Amber, Tumbled Glass, Salty Ocean) . I used an SSS stencil (Tiny Dots) and tinted embossing paste with the same colors and applied it to the front of the card. The bird is also from SSS, adhered with foam dots, and the branch is from Purple Onion by Stacey Yakula. The sentiment is SSS Painted Hello, that I cut four times and once with fun foam and adhered them together to give dimension. I really liked the way it came out. This weeks sketch for the CAS(E) this Sketch challenge is so pretty! This is what I created from the sketch. I used an embossing folder on the card panel and then die cut it. 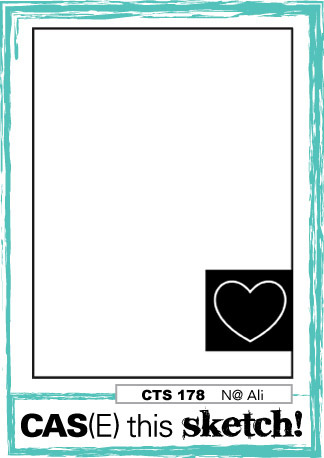 The heart is the Large Doily Heart from Simon Says Stamp, which may be discontinued, I couldn't find it on their website. I used a scrap of watercolor paper and used distress ink to watercolor it for the banner, cut flag ends and stamped it with SSS Congratulations stamp set. I then added a few Pretty Pink Posh Clear Droplets. I adhered the heart and banner with foam squares. I recently got the Avery Elle The Reef stamp set and dies. 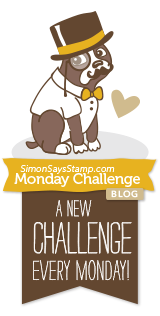 This is a beautiful set and I haven't had time to use it yet and thought the Simon Says Stamp Monday Challenge was perfect. I used Tim Holtz distress inks to blend the background, and stamped the images from the set, die cut and adhered to the background. I turned the card into a shaker card adhered more of the images to the outside of the frame. 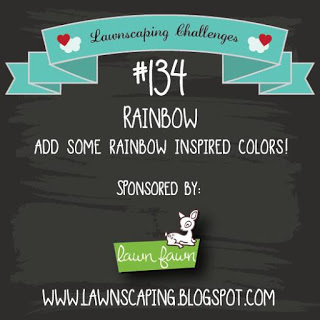 Today's card was inspired by the Lawnscaping Challenge theme which is Rainbow. I used a Versamark embossing marker and hand drew some lines across watercolor paper and then heat embossed it with clear embossing powder. Then I used distress inks to watercolor the rainbow colors on the card front. 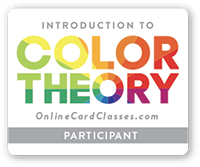 I cut a small panel and did the same, matching it to the rainbow colors on the card front. I took the Versamark marker and drew it around the edges of the pieces and heat embossed it with Ranger Platinum embossing powder. 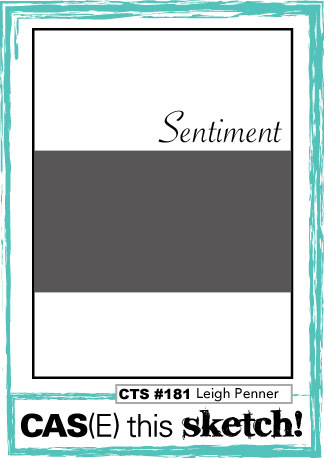 The sentiment was also heat embossed with Ranger Platinum. I tied twine around the piece, and mounted the small panel onto a piece of fun foam and then adhered it to the card front. 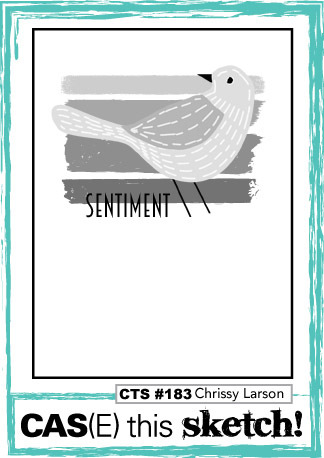 I used the Lawn Fawn Happy Everything stamp set for the sentiment. Life has been so busy lately. I did find a little time to craft a little and make a card for the CAS(E) this Sketch challenge this week. 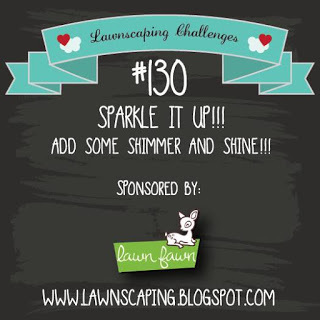 I used a stamp set from Altenew called Garden Grow, that I just love! It has so many different images that can be used in so many ways. After stamping on watercolor paper, I watercolored with Zig Clean Color brush markers. I used patterned paper behind the scene and the greeting is heat embossed with Ranger Ultra Fine white. Day 3 got a little trickier. Lol It was Advanced Heat Embossing. There were definitely a few more steps involved. I chose to do a technique that Kristina Werner demonstrated. The idea is to use a background stamp (I used SSS Leaves Background) on watercolor paper, stamping with Versamark then clear embossing powder, heat embossing and then ironing off the shine. I think I was a little too timid with this step and when it came time to stamp my greeting it didn't show up as well as it should. I also watercolored the background in several shades of Gamsai Tambi paints, the greeting is from Hero Arts Be Happy Today. Oh, I added some sequins too. I am going to try this again soon, and make sure I iron off all the shine. I am learning quite a lot with this class, can't wait to try out the other techniques when I have time. Day 2 was all about heat embossing techniques. Now something I had no idea could be done really caught my eye. Embossing in layers. One of the techniques was embossing a solid image and then adding layers of embossing on top of the first layer. I always thought that they would all melt into a big puddle. :) It takes a little time, but I like how it turned out. I wish I had a few more colors of embossing powders, but in the end it worked. Day 1 was all about heat embossing basics. 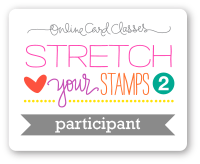 Even though I have been heat embossing for awhile now, I still learned a few tips. I heat embossed onto acetate similar to Jennifer McGuire in today's lesson. I made it into a shaker card. I know the lighting is bad, I really had a hard time getting a good pic due to the light reflecting in the acetate. I really like the way it turned out, just wish the picture was better. I used a Purple Onion Design stamp set and Ranger Platinum embossing powder. 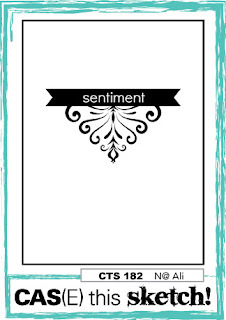 The sentiment is heat embossing using the same powder on black cardstock. 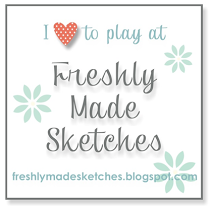 I am going to enter this card in the CAS(E) this Sketch challenge this week. 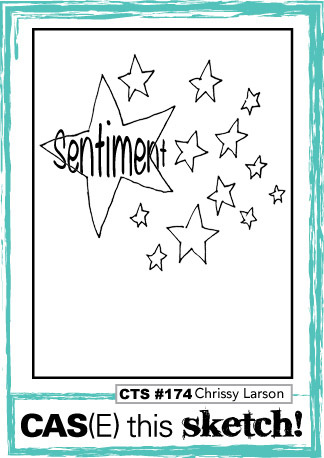 I used Simon Says Stamp Shine On for the images and sentiment for this card. As soon as I saw this stamp set from their new release, I had to have it! I love all the images and sentiments featured. I heat embossed the image and sentiment in Ranger Platinum embossing powder and gave the sun image a little brush of Gansai Starry Colors, on black card stock. I used patterned paper behind the black card stock and then used white card stock as the base. P.S. These Gansai colors are so beautiful, I plan to do another project using them soon, they are scrumptious!! Thanks I'll be back soon. I am entering this into Lawnscaping Challenge #131 which is Off Kilter. I think I am getting this entry in pretty much right under the wire. I die cut papers from a Sizzix die and adhered them to black cardstock all askew (I love that word) lol. I used one of the monster images from Lawn Fawn's Monster Mash. I colored the image with copics, used glossy accents to cover it and added a googly eye. 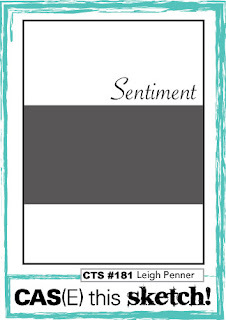 I love the sentiment which is also from the same stamp set, it is heat embossed in white. 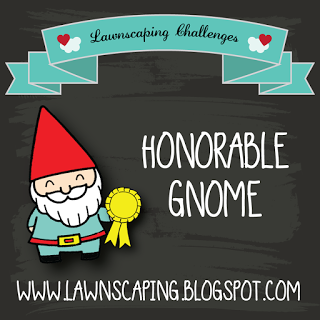 This is going to my grandson, because he is neat! 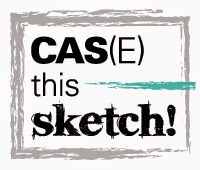 CAS(E) this Sketch #176 features this sketch for this week's challenge. I was going to use a flower image on this card, but once I die cut the strips of paper, it looked like waves so I went with a boat.I stamped and cut the boat out and used some foam squares to adhere to the card front. I colored the boat with Copics and then stamped a sentiment on top of the 'waves'. 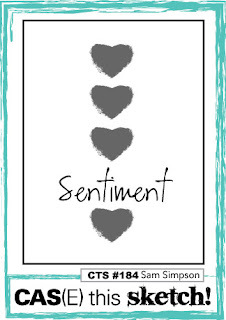 Supplies Used: Stamps-Paper Smooches (boat), Simon Says Stamp (sentiment) Dies: Lawn Fawn and Simon Says Stamp. 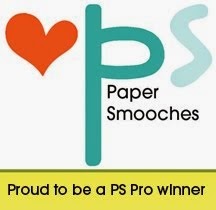 The theme for Paper Smooches June Challenge is Layers! I love the all the colors in these layers images, gor-ge-ous!! I needed to make a graduation card and I thought the sentiment on this stamp set was so appropriate for a new graduate. I water colored the 'moon' with distress inks and then used a circle die to cut it out. I used Wink of Stella too, it shows up waaay better irl. I made a galaxy background by blending distress inks, isn't it great you can do both with the same product? I added stars to the background with a white gel pen and images from the stamp set. The images are all from Paper Smooches Space Cadet (one of my favorites), after coloring with Copics, I cut them out and adhered to the card front. I popped the alien spacecraft on foam squares. I added glossy accents to the windows on both spacecraft and also on the water on Earth-like planet, well I'll just call it Earth, because I want the astronaut to be going home! lol I also added googly eyes on the 'aliens'. 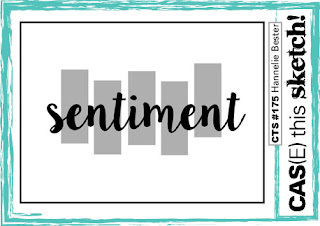 The sentiment is white heat embossed on black card stock. Supplies Used: Distress Inks for Moon: Black Soot, Hickory Smoke, Pumice Stone and Iced Spruce. Distress Inks for Background: Faded Jeans, Stormy Sky and Dusty Concord. I love this sketch! 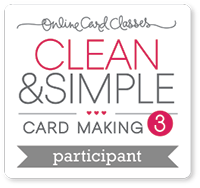 I finally got in my craft room to work on a card for this challenge. This is what I came up with. The image is from Purple Onion Designs part of the collection from Stacey Yakula. After stamping the image, I colored with Copics and added some grass at the bases of the birdhouses. The 'thanks' die is from Paper Smooches, which I cut out three times, adhered together and then applied glossy accents to highlight. To frame the card front I used the Wonky Stitches die from Avery Elle.